Do you also have some risotto left from the last night party and don’t know what to do with it? Well, we have found a perfect fusion recipe that you can try out. This mouth-watering risotto cheese balls recipe is very simple and is made using risotto, flour, cheese, and breadcrumbs. Try out this creative recipe at home and enjoy with family and friends. Take a bowl and add 1 cup of risotto to it. Now, add 3 tablespoons of all-purpose flour to it. If your risotto is more liquid, add more flour to it. Mix it nicely to make the risotto dry and thick. In the meantime, cut the cheese cubes. Then, take some risotto mixture and flatten it. After that, place a piece of cheese in between the flatten risotto. Now, make a ball of it. Then, roll the risotto ball into the breadcrumbs and place them on a separate plate. Repeat the same for the remaining risotto mixture. Meanwhile, place a pan on a medium flame and heat some oil. Now, deep fry all the risotto balls and place them on a separate plate. 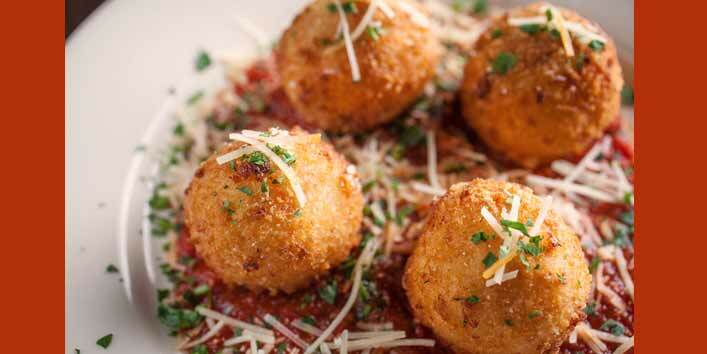 And your risotto cheese balls are ready to be served. Don’t forget to comment how you liked the recipe. If you have more such quick fix recipes, share with us.